• There’s a resounding buzz across Europe and North America around the Emmylou Harris/Rodney Crowell Old Yellow Moon tour. Folks who have experienced the two-and-a-half-hour show are using words like “epic” to describe online what they shared live in Paris, New York, London and LA, from Berlin to Belfast, Toronto, Quebec and Ottawa. The long-awaited recorded collaboration earlier this year was four decades in the making. Subsequent performances – including six cities in Western Canada in early November – are something else, a showcase of deep connections and a sum much greater than its considerable parts. But it’s vocal harmony and unique chemistry that are the heart and essence of international encores, what Emmylou calls a “celebration of a 40-year friendship.” She has recorded more than 25 albums and earned 12 Grammy Awards. The most prominent harmony vocalist of our time and go-to-girl, her voice has blended elegantly with everyone from Bob Dylan, to Neil Young, Dolly Parton and Linda Ronstadt in Trio, Elvis Costello, Ladysmith Black Mambazo, Roy Orbison and Mark Knopfler, among others. 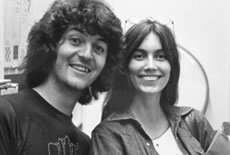 “From the first time Rodney and I sat down on a floor and across a kitchen table, messing around with two guitars and our two lead voices, it was obvious and inevitable that we’d be friends, cohorts and collaborators,” Emmylou recalls. “Two unique voices in a duet can create a third voice, like nothing that has ever existed before. Obviously, the songs have to be good, but like instruments that add emotion and shading, voices raised together create some kind of joy. And being joyful at 20, or being joyful at 60, it’s still joy, ” she adds. Crowell, a songwriter’s writer and singer is also a multi-Grammy Award winner. His work has been recorded by the likes of Johnny Cash, Bob Seger, Norah Jones, Etta James and the Grateful Dead. In 1988, his Diamonds & Dirt album generated five #1 singles. The 2010 publication of his memoir, Chinaberry Sidewalks, earned global acclaim and a recent recording, KIN, with fellow author Mary Karr, debuted at #1 on Americana and Country charts. “If the songs are good, you get to lay it on the line and deliver a worthy performance,” he reports. “You don’t think about, it but lose yourself in the moment. Get in there unconsciously and the chances of achieving something somewhat timeless go up exponentially. Back in 1967, as an aspiring folksinger, she had arrived in New York expecting to meet Dylan, Baez, et al. But the scene had moved on, a marriage also faded quickly and as a single mother she also had to work as a waitress. However, her mentor and soul mate would overdose on heroin, leaving behind a legacy and a still lingering influence on everything from alt.country to the Rollin’ Stones. “All of a sudden, the lights were turned out and I had to figure out how to make my own way in the dark. Through Gram and osmosis, I had developed an ability to hear the beauty and the poetry, the restraint that is in music and gives it its power,” Emmylou says. 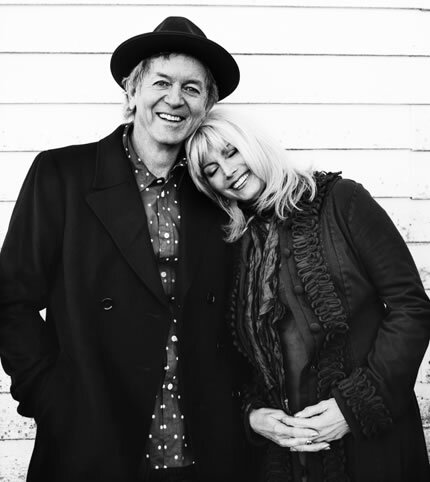 In 1974, shortly after Parson’s tragic demise, while struggling with her debut solo album, Pieces of the Sky, Harris first heard the then unknown songwriter Rodney Crowell on a demo tape. “In the first few bars of Blueberry Wine, something went boom, something in his voice, in the music and the energy that was there,” Harris recalls what became the opening track, later prompting an invitation and air plane ticket to join what would become her legendary Hot Band. Crowell says, “I went out and stayed seven years. We started touring with Elvis Presley’s band when he wasn’t working, hippie kids working with really high-price musicians like James Burton, Glen Hardin and Emory Gordy. Harris and Crowell bonded over sibling harmonies such as the Louvin Brothers and the Everly Brothers, internalizing them, creating another dimension as compelling as their solo voices – a classic pairing as unique and shimmering as the similarly influenced Simon and Garfunkel or Lennon and McCartney. Blueberry Wine was revisited and revised on Old Yellow Moon. “I wrote it when I was 20 and knew I could do better. The writer’s best friend is revision and now it’s a little more in keeping with my current sensibilities. In some ways, we were sillier when we were younger, and we took things like this for granted. This process, this day’s work, is a bigger blessing than we understood it to be back then,” Rodney says. The passage of time – time well spent, time misspent – is a recurring motif on Old Yellow Moon, including Matraca Berg’s heartbreaking lament for lost youth Back When We Were Beautiful and Crowell’s own preternaturally wise Here We Are. Travelling back and forth across their careers and shared and separate history, listeners are offered rare balance and authenticity as well as an acknowledgement of the artist’s maturity and fallen comrades, such as Parsons and Harris’ touching farewell to Kate McGarrigle. Sometimes mournful or timelessly yearning, anything but nostalgic, sometimes rollicking, Old Yellow Moon, the album and upcoming concerts, showcase the deep connections between ever evolving musical powerhouses, right now. This article appeared in the OCTOBER 2013 print edition © Common Ground magazine.